2018 is here! 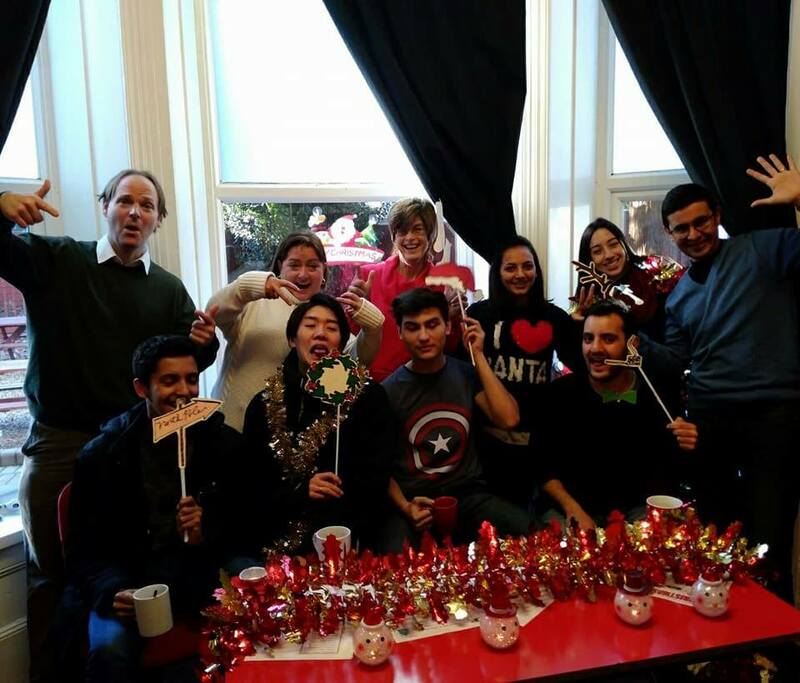 The Winter holidays may be over now, but we here at Cavendish School of English made sure to have a lot of fun. 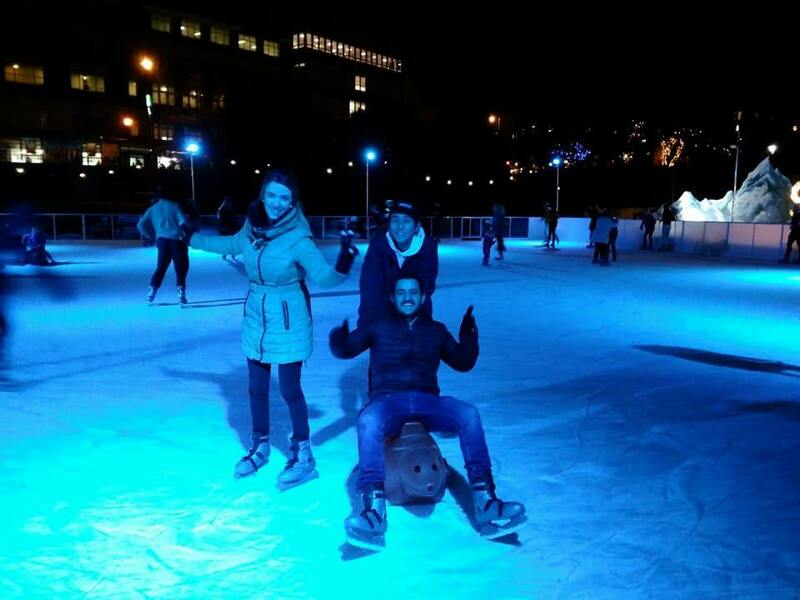 Our adult students went ice skating in the Bournemouth Lower Gardens ice rink. It is not an easy winter sport, which they realised after experiencing a couple of falls. Nevertheless, they never gave up and continued skating for an hour! We congratulate our students on being brave, especially those who had never seen snow or ice skates before like Jhamil from Colombia, Sultan from Saudi Arabia, and Bruno from Paraguay. Takuya from Japan did really well and Kai was an excellent photographer. Well done guys! Later, there was plenty of fun to be had at the Christmas party. Students and teachers celebrated with traditional Christmas food and party games. 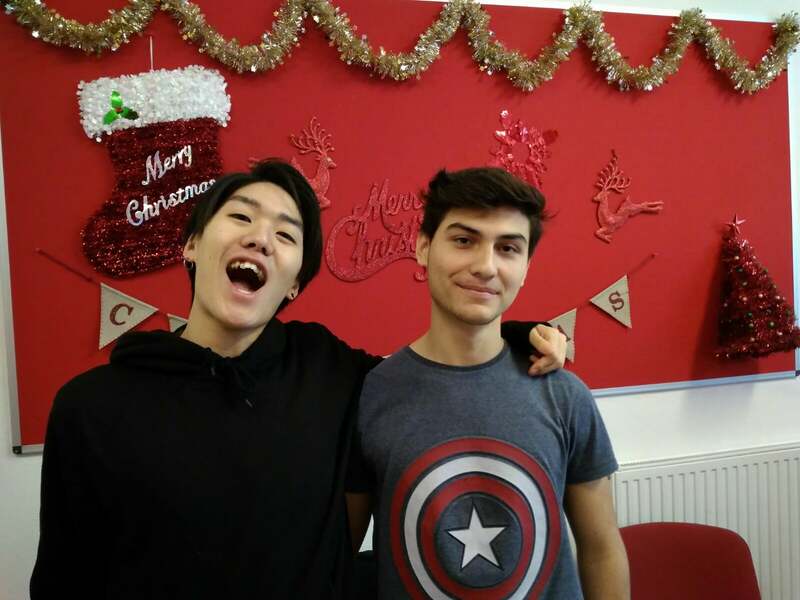 We also said ‘farewell’ to Bruno and Kai, two of our long term students who finished their courses with advanced certificates. We are proud of these two young and talented men who have great careers ahead! Thank you guys. You will be missed! We wish you and everyone a very Happy New Year!